Mike Peterson says  North Island farmers won’t be buying South Island store cattle, sorry, it has already jumped the Strait. MPI have said part of the issue is the failure of farmers to keep good records of stock movements etc. 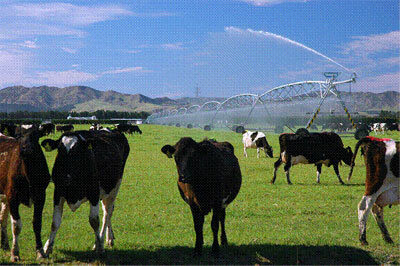 On the production front Fonterra has reported  a -5.5% drop in national production for December. Most of this drop has occurred in the North Island as the South Island is reported to have had a +1% lift from the period June to December. For the season a drop of -3% from last years figures is predicted.. This is what has driven the last GDT result but increasing volumes coming out of the US may put pressure on the upward trend. The updated TPP is due to be signed on March 8th, but with the USA out the big benefits to dairy are lost. However Japan takes over $700  million (2015) of NZ dairy products and considerable phasing out of tariffs over the next 11 years are predicted. Likewise Mexico with exports valued at $285 million (2015) has a softening of quotas allowed in. What Canada has finally agreed to may be revealed soon but their stance is likely to be more market protection orientated and so may not help NZ dairy farmers.